Although it's not as popular as oak firewood, almond firewood is an excellent choice. In fact, the burning characteristics of almond and oak are very similar. Almond is a hardwood that creates a hot, long lasting fire and produces only a small amount of ashes, much like oak. However, almond seems to season or dry out a little faster than oak. Almond will generally need about a year to season. Oak on the other hand, can take up to 2 full years or even longer. However, when comparing the two, oak is more plentiful and easier to find and purchase. Any type of wood you choose should be seasoned before use. 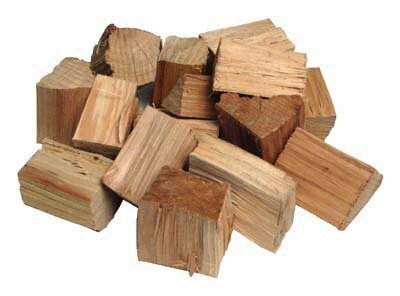 Seasoned firewood burns hotter, cleaner and safer than green firewood, no matter what species of wood you're using. The almond tree is native to the Middle East where it eventually spread to the United States. Now, California and the Central Valley region is the largest almond producer in the world. 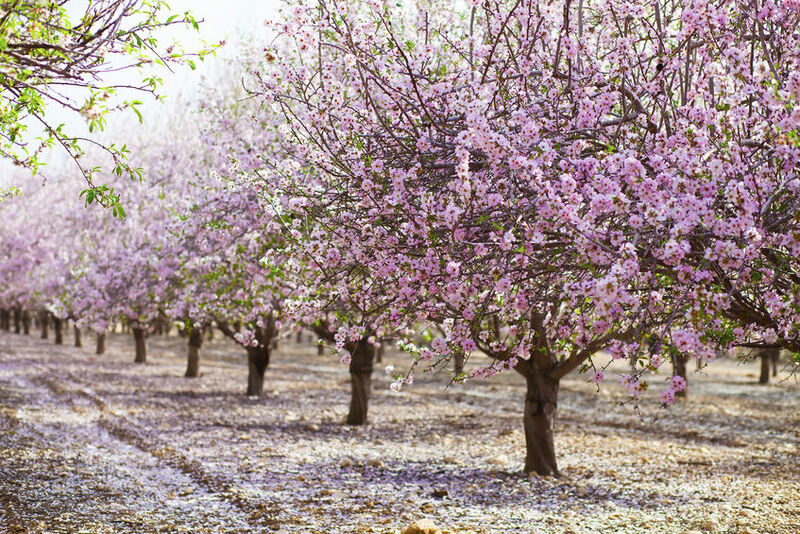 The almond tree grows to around 30 feet in height and begins bearing a harvestable crop 3 years after planting. The trees reach full bearing 5 to 6 years after planting. A majority of the almond firewood sold or harvested comes from old almond orchards that need replanting. The price of almonds are now at historically high levels and many almond farmers are choosing not to cut down any almond trees, reducing the amount of available firewood. Old orchards that need replanting are now being chipped and not turned into firewood because chipping an orchard is faster. The faster the land can be processed and replanted, the faster an orchard can begin producing its valuable nut. Ok....so we've already determined that almond is a great choice for heating, but is it any good for cooking? You bet! Although it's not as popular as mesquite or apple, many people choose to smoke their food with almond. The wood will give your food a sweet, nutty flavor that's absolutely delicious. For cooking purposes, almond is very similar to pecan. If you're looking for a bolder flavor, using larger chunks of almond will generally give you better results compared to using small amounts of almond chips. Unless you live near an almond orchard, finding a supply of almond wood to cook with is going to be tough. Sometimes ordering the wood online and having it shipped directly to your door is the easiest. Whether you're looking to heat your home or prepare a delicious meal, almond is an excellent choice. The long lasting heat generated by the wood and its sweet, mild flavoring makes it popular for both cooking and heating. Overall, it's an excellent "all purpose" wood.